Posted on Fri, Feb 17, 2012 : 7:22 a.m.
A majority of Washtenaw County voters think public transit is important and say they'd likely support a 1-mill property tax increase to pay for a countywide service expansion. Those are among the findings of a new survey conducted by CJI Research on behalf of the Ann Arbor Transportation Authority, which is making moves to expand services. The AATA commissioned CJI Research to conduct a random survey of 1,356 registered Washtenaw County voters between Oct. 25 and Dec. 1. Washtenaw County voters say they understand the importance of public transit, and a majority either probably would or definitely would pay a new tax to expand services countywide. The survey measured public support for moving forward with AATA's plans to morph into a new countywide transit agency, including a possible 1-mill property tax increase to fund new services. Once respondents were given a list of possible reasons to support or oppose the milage, and then asked again how they would vote, support climbed to 59 percent. "Going forward with transit development, you have a relatively optimistic community," said Hugh Clark of CJI Research, delivering the survey results to the AATA's governing board Thursday night. "There's really a consensus that public transit is a very important public service to provide." The survey allowed respondents to answer 'definitely yes,' 'probably yes,' 'probably no' and 'definitely no' on the millage question. According to Clark, the number of those who said 'definitely yes' — 18 percent — was tied with the number who said 'definitely no,' suggesting many voters are on the fence. "If you leave it to the definites, you're at a draw," he said. "The largest group is 'probably yes' — they want to support it, but only probably, and so this is the key element of the population that will decide the outcome." The latest survey findings show the AATA has made only minor progress in swaying voters since the last survey by CJI Research in 2009. The survey two years ago found 51 percent of Washtenaw County voters — compared to 54 percent now — said initially they probably or definitely would support a countywide transit millage. After hearing arguments for and against the millage, support climbed to 58 percent in the 2009 survey, compared to 59 percent in the most recent survey. AATA officials concluded from the findings two years ago that there wasn't yet enough community support to pass a 1-mill county transportation levy. At least one member of the agency's board expressed frustration Thursday night that the gains in public support are so minimal, considering all of the outreach efforts the AATA has done. AATA officials are awaiting approval from the Ann Arbor and Ypsilanti city councils, as well as the county board, to move forward on creating a countywide transit authority. Funding recommendations and five-year service plan are expected to be released soon. If it's determined a countywide millage is the way to go, it could appear on the ballot as early as November of this year, though AATA officials say that may be overly ambitious. Recent comments by AATA CEO Michael Ford suggest 2013 is a more likely scenario. The recent survey found 69 percent of respondents said it's very or extremely important to provide public transit in Washtenaw County, while virtually no one said it's not important. About 40 percent said they or someone in their family had used public transit in the past year, which Clark called a very high utilization rate. "Normally in most communities we would find it's more like 25 to 30 percent, so you're very high in this area," he said. and it will guide us into the future." Clark said there are four main takeaways from the survey: The AATA is highly regarded by the public, the pubic remains supportive of transit service expansion even if it means a new 1-mill tax, the single most compelling reason to support a transit expansion is countywide door-to-door service for seniors and the disabled, and the single most compelling reason to oppose a transit expansion is concern about tax increases, not concerns about the AATA. The survey found 69 percent of respondents were not aware the AATA had a 30-year transit master plan. Clark offered a quick glance at how voters in different geographic areas of the county feel about a countywide transit millage, showing the strongest support is in Ann Arbor. "Between the 'definitely yes' and 'probably yes' in Ann Arbor, you have 68 percent — a very commanding lead in Ann Arbor," Clark said, adding that support diminishes in rural areas. "But notice that the 'definitely yes' and 'probably yes' in the city of Chelsea and western townships still adds up to 42 percent," Clark said. "That's pretty substantial. I find that very interesting. Also, the city of Saline and the eastern townships, a similar number." Clark noted that among those who said 'definitely no' to a millage increase, 26 percent still said public transit services are very important or extremely important. He went over reasons why some voters stand in opposition to a countywide transit millage, citing general opposition to new taxes and concerns about the economy. Some argue it's unfair for everyone in the county to pay for transit services that mostly benefit Ann Arbor and Ypsilanti. On the flip side, some argue it's unfair for people in Ann Arbor and Ypsilanti to pay more than others for transit benefiting everyone in the county. The margin of error for the survey is said to be no more than 2.95 percent with a 95 percent confidence level, according to documents handed out at Thursday's meeting. Sat, Feb 18, 2012 : 5:12 a.m. I am sorry, but this is the post I received on my comment and I did not want it to be buried in my replays. &quot;It is not really your tax money it is the federal government giving away money based on taxes in the first place. Also, Obama? Just OK'd an increase in transportation spending by 2 mil. So, either vote O out or get use to higher taxes.&quot; Sorry sir, but I believe federal tax money is still ours and those buses are not a break even enterprise or you would not need to tax me. I say no to the federal money because it will cost us money in the long run. Look at the thinking!!!!! Sat, Feb 18, 2012 : 4:52 a.m. Lies... Damned Lies... and SURVEYS! Arrrrrrrgghh! Put it to a vote and watch it go down in FLAMES! Sat, Feb 18, 2012 : 4:01 a.m. Sat, Feb 18, 2012 : 3:30 a.m.
From CJI research website- &quot;We take on unique research challenges. For example, our studies have... •created strategies to promote public funding of transportation It really isn't &quot;research&quot; to &quot;create a strategy to promote....&quot; As usual, the &quot;study&quot; reflects what the client wants the outcome to be. Sat, Feb 18, 2012 : 2:17 a.m. I don't care what any survey concludes. Best survey is at the ballot box. Sat, Feb 18, 2012 : 2:13 a.m.
Why is it that AATA is trying to sell this to the voters? Should they not serve the will of the voters? Yet AATA spends thousands marketing the views of the board to the voters. This seems unsavory - like there is a con going on to highlight some features and sell a mammoth plan. Who is responsible for objectivity here? Sat, Feb 18, 2012 : 12:42 a.m. Yes, why doesn't the headline read &quot;AATA survey shows......&quot; which would be much more accurate, and explain the results. We need our City tax dollars to pay for our City bus service, to increase the service hours in town, and possibly to improve transfer points. U-M Hospital employees, and others, are stuck on saturday and and sunday evenings without bus service. Sat, Feb 18, 2012 : 12:39 a.m.
Whittaker Road library could still boon from an AATA express bus. Wish there was one. Make it easier on me not to drive all the way out there. Even some patrons mentioned this as well. So AATA? Don't forgot us. Fri, Feb 17, 2012 : 11:32 p.m.
&quot; new survey conducted by CJI Research on behalf of the Ann Arbor Transportation Authority&quot; I'm sure those results are almost worth the paper on which they're printed. Fri, Feb 17, 2012 : 9:25 p.m. The only way I would support the 1 mil was if they reduced the AA 2mils to 0. No way am I going to pay 3 mils. I also do not have a problem with the AA 2mils, but if AATA goes county wide, I do not want to pay anymore than anyone else. Fri, Feb 17, 2012 : 9:11 p.m.
AATA charges riders in Ann Arbor only 11% of the actual cost of riding the bus. As in... Receipts from Transit Operations in 2009 : 3.1 million Operating Expenses of 27.6 (Don't yell at me it is from 2009, that is the latest audit they posted....) Charge riders 8 times more than what you are currently, and riders will bear 100% of the cost. Heck, even 4 times. Or get your costs in line and quit pretending to save the environment with &quot;Green&quot; buses you cannot afford. Then I'll support the millage. Until then, I do not see why we should expand such an inefficient operation. Fri, Feb 17, 2012 : 8:45 p.m.
1 mil on my taxes is $300. I've never used AATA, and would vote no. Then again, I have to pay over $1,000 a year for WCC and I don't use that either... I use the library and have no issue paying for that. Sat, Feb 18, 2012 : 12:40 a.m.
And UM and EMU and a few other places you do not use either. Fri, Feb 17, 2012 : 7:02 p.m. I tried a number of times to take this survey. It would not open on my Mac. I heard the same thing from another individual in a different household with a different Mac. Funny that I can open every other survey (and I receive many of them). Could there possibly be something fishy with this survey? Is it &quot;fixed&quot; or &quot;pre-determined&quot;? ...just asking. Fri, Feb 17, 2012 : 4:47 p.m. There needs to be a way to get &quot;economy of scale&quot; in a lot of our public infrastructure development efforts. Unfortunately Michigan's fragmented local government structures and taxing authorities are structurally resistant to providing the funding required in a balanced way. I would support state and federal funding plans contingent on development of appropriate regional functional authorites and plans, not the crazy hodgpodge we have now. County wide millage only &quot;solves&quot; the problem of conflicts between smaller units of government over how much to contribute to funding existing transit infrastructure when it comes to pieces like rail which require a more regional vision. It is high time that both our publc officials and the general public stops grandstanding with hyper-simplified answers like &quot;no new taxes&quot; and &quot;we don't need this&quot; and the advocates take the time and effort to provide educational and detailed explanations for their proposals so that they can be evaluated on merit. Don't just spout a knee jerk response, look seriously at what is being proposed and why. Maybe some people out there are thinking about the public good and how to most economically meet our future transportation needs in a world where energy costs and global climate changes are real and ever more urgent concerns! Fri, Feb 17, 2012 : 3:51 p.m.
most people would agree to rainbows and unicorns for everyone but the devil is in the details. Fri, Feb 17, 2012 : 3:48 p.m.
they asked registered voters, but how many of those were property owners who pay property taxes directly? there's a big difference between the two. I wonder how much skewed the AATAs commissioned research was b/c of it. I don't want county wide transit and I certainly don't want to pay more money in taxes for the AATA that hasn't been able to support itself and I really don't want to give any of the administration a reason to give themselves a pay raise. Fri, Feb 17, 2012 : 3:40 p.m.
Fri, Feb 17, 2012 : 2:58 p.m.
Also in today's news: &quot;Deputies warn against over-the-phone money wiring scams.&quot; Q. E. D.
Fri, Feb 17, 2012 : 2:52 p.m. I think a county-wide transit plan is a great investment. I will be voting YES on the millage. To all the right-wingers: stop expecting to get everything for free. Fri, Feb 17, 2012 : 4:50 p.m. I'm afraid you have it backwards. We don't want anything to do with this and you want us to pay for it. You're the one who needs to stop expecting to get everything for free. I am more than willing to pay for what I want, just not what you want. Fri, Feb 17, 2012 : 2:46 p.m.
...but paid pro-corporate, anti-government trolls vote no. Fri, Feb 17, 2012 : 2:44 p.m. I'd like to point out that the commenters are all able to access this story online, and read English enough to understand the article (as well as subtext), and reply fluently. I suspect that we might not be hearing from many of the people who most benefit from the bus system - and when their abilities to get around our community are increased, it could have positive effects on our local economy, community health, and to help our community be more equitable than it is now. Many of the commenters have also complained that while driving, they have to deal with the busses being in their way, idling behind them, etc. I challenge each of you to attempt to get from an outlying community (Dexter, Chelsea, Manchester for example) to downtown Ann Arbor or Ypsilanti, where there may be more economic opportunities for work. If you had to be at a restaurant to work in the kitchen for breakfast, you'd be screwed unless you could also afford a car, gas, insurance, and annual registration. You'd be screwed if you worked late and the busses were already done for the day. You'd be screwed if you had to leave to go get a sick child from school in the middle of the day. Many commenters also recommend riding bikes. I fully support that for those who are able, but again, there are limitations - especially for people in outlying areas who need to get to jobs downtown (where they may not have a place to shower/change after a 20-mile bike ride). Fri, Feb 17, 2012 : 7:27 p.m. I'd like to point out that people who vote and pay for proposals such as this do so in English. Anybody that can get on a bus has access to the internet at a library (which we are also paying for). So I don't get your point. Not only that, but when was the last time you were on a bus? BY FAR the majority of AATA riders do not meet the demographic that you say &quot;most benefit&quot; from the bus system. We should all pay 1/3rd more than we already are to AATA for what exactly? That'll be a 'no' vote from me. Fri, Feb 17, 2012 : 5:42 p.m. I haven't read all the comments yet but so far I haven't read anything about having to wait behind buses or that a bus is in their way. Mike, I am all for the betterment I just question how much longer I can afford this betterment before I need to stick out my hand. One more family out of their house and on the street is not bettering anything or anybody. Fri, Feb 17, 2012 : 3:02 p.m.
Fri, Feb 17, 2012 : 2:34 p.m.
Fri, Feb 17, 2012 : 2:25 p.m.
My only question is: Is this 1 mil county tax in addition to the 2 mil tax we already pay in the city of Ann Arbor to support the AATA? Fri, Feb 17, 2012 : 3:45 p.m. YES! We will pay 3 mills If this passes. In the very near future afterwards, expect the bad news that we need to anti up additional funds to maintain this fantastic new service. No end once AATA gets into your pockets. Fri, Feb 17, 2012 : 2 p.m.
A favorable survey result for the AATA from &quot;BIG TRANSPORTATION&quot; survey company? Reminds me of &quot;BELIEVING&quot; in Man Made Global Warming or is it Global Cooling? What ever! If you give people money, they give you the Results you want. The Online poll results are a little different. Yup, the online poll results are skewed toward those who have access to the internet and can read this article in English... which has a little overlap with some of the folks who use the busses the most. Fri, Feb 17, 2012 : 1:52 p.m.
Maybe I'm missing something. Can someone explain to me, in short words and simple sentences, why Ann Arbor residents should want a county-wide transportation system? This is a serious question, not snarky. I know there must be a rationale there somewhere, but I can't see it. Mon, Feb 20, 2012 : 12:45 a.m. In addition to foobar417's note I'd add the importance of linking employees and consumers to the commercial base we are working to improve in the city without increasing costly (and comparatively wasteful) infrastructure for cars, like parking structures. Consider the access debate around the U-M hospital (Fuller Road station, parking decks, etc.). Some estimates have 4,000 employees a day making their way from Ypsilanti to the hospital. A robust countywide transit system could obviate the need for that parking infrastructure and avoid the attendant community-based fights over land use. Your question about what makes and excellent city really is part and parcel of this debate over expansion (especially for city residents). It's true that we have excessively subsidized urban sprawl for decades, leading to the unsustainable systems that create drag on our economy and wreak havoc with the environment. The problem from a transportation perspective is that those systems are well embedded in our society now and successfully mitigating their negatives means strategically supporting activities that offer dual benefits while driving toward more sustainable practices. The community-to-community &quot;linehaul&quot; services are examples of this. The distinctions are not obvious nor is it easy to calculate that cost-benefit. For example, the door-to-door services proposed in the transit plan might seem to support an urban sprawl development model. But, as one example, consider the state policy for siting hospitals. If a competitor to U-M or St. Joe's can evidence that there are access issues for the population of a region (say, the eastern-Washtenaw/Plymouth/Canton area) then they can site a facility that draws people away from Ann Arbor. Countywide transit that has our hospitals as hubs in the network help combat that competition and door-to-door is an essential component of the service-offerings for medical facilities, especially for seniors and the disabled. Sat, Feb 18, 2012 : 12:46 a.m. Here is my answer. Because your children are probably going to need a bus ride to school and AATA is the only way they are going to get there. WISD is planning on getting rid of that white elephant in the future. Think about it. Why else did they cut half the hi school runs last September? All WISD wanted was the special ed runs. Ours does take the AATA to get to and from school. That walk is for the birds. Fri, Feb 17, 2012 : 11:34 p.m.
dotdash -- I think this business bout making the city attractive to others is a losing proposition. It is the excuse we make to do things like public art (oh, people will want to come here for the art). We need to make Ann Arbor attractive to its residents first: deal with their needs and wants, what makes us happy with the city. If we are happy with Ann Arbor then others will likely be, too. To me that means tending to business: maintaining roads, sidewalks, bike paths; maintaining parks (and not letting city government take them for other purposes); safety (police, fire, and citizen awareness); quality schools; NOT spending top dollar because we equate money with &quot;doing something&quot;, but being efficient and effective with our spending. Fri, Feb 17, 2012 : 4:19 p.m. Thanks, foobar417, those make sense. Is it true that cities are better off if they are easily accessible by those who live outside them ? Or is a good city one with good services within it for residents so that people want to live in it and not sprawl outwards? This, too, is a real question. I'm curious about what we believe is a good model for a city -- it's implicit underneath the decisions that are being made. but never stated as such. Fri, Feb 17, 2012 : 3:07 p.m.
Economic development of the county as a whole. Reduced burden on street infrastructure (expanding it and maintaining it) in Ann Arbor. Provide access to the city to elderly, disabled, young, and poor. Fri, Feb 17, 2012 : 2:13 p.m. It is easier for us to send missionaries to outlying communities in order to enlighten them with our brilliance. Fri, Feb 17, 2012 : 1:49 p.m.
&quot;Recent comments by AATA CEO Michael Ford suggest 2013 is a more likely scenario.&quot; (for a millage vote) So in other words, push the vote off another year (lower voter turnout next year), while continuing to pay consultants hundreds of thousands of dollars. Most troubling is the AATA's 2012 budget which dips almost $1 million into reserves to fund the AATA's aggressive expansion plans. The expansion plan is already being implemented without the necessary annual operating funds. I hope the AATA board will realize they can not afford to go another 21 months at this level of spending not knowing the results of the future millage vote. Fri, Feb 17, 2012 : 1:44 p.m.
Sweet! Empty buses running between Ann Arbor and Chelsea. Sat, Feb 18, 2012 : 12:47 a.m.
And Dexter and Canton and Milan. I am hearing these buses are full every morning and every nite. Fri, Feb 17, 2012 : 1:43 p.m. I would like to see the details of the population pool used for the survey. No one I know is in favor of this. Fri, Feb 17, 2012 : 1:42 p.m.
Once again we are hearing &quot;hints&quot; that a countywide vote will not happen this year. 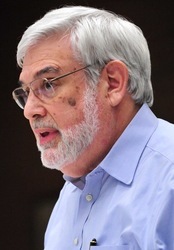 The importance of a countywide vote is that this is the only means of a referendum on transition to a new authority that is less accountable to Ann Arbor taxpayers (who will, under even the most expansive scenario, be paying most of the bills; see my post <a href="http://localannarbor.wordpress.com/2012/01/27/how-much-county-in-washtenaw-county-wide-transit/)" rel='nofollow'>http://localannarbor.wordpress.com/2012/01/27/how-much-county-in-washtenaw-county-wide-transit/)</a>. In another post <a href="http://localannarbor.wordpress.com/2012/01/05/the-case-of-the-vanishing-transit-millage-ii/" rel='nofollow'>http://localannarbor.wordpress.com/2012/01/05/the-case-of-the-vanishing-transit-millage-ii/</a> I predicted that there never will be a millage vote. I hope that I am wrong because all the safeguards that Council is currently trying to build into the 4-party agreement are structured around the outcome of such a vote. It has been pointed out to me that for a millage vote to occur &quot;countywide&quot; in 2013, a special election would have to be called. Townships and perhaps most villages and other cities in the county do not hold elections in odd years (though Ann Arbor does). So if the election is not held this year, it would mean that someone would have to pay for the expense of putting on elections all over the county. I'm not clear who would be expected to pay for that. The individual townships? An imposition. The county Board of Commissioners? (They would have voted to incorporate the new authority.) Severe budget cuts already at the county. The New Transit Authority? No source of money yet. Oh wait - the AATA has promised to reimburse the NTA for all expenses until it becomes the owner of Ann Arbor's millage. Maybe the AATA will just add that to the expense they have already incurred to bring this off. Fri, Feb 17, 2012 : 1:38 p.m.
AATA, please stop thinking or trying to spend our tax money. Too much deep thinking going on over there. Sat, Feb 18, 2012 : 5:10 a.m. If the Federal government is giving it to us, it is still my tax money. Wake up! I am guessing that those buses do not maintain themselves and are not a break even operation or I would not have a bus assessment. Keep telling yourself this is free money and will not cost us anything. Sat, Feb 18, 2012 : 12:49 a.m. It is not really your tax money it is the federal government giving away money based on taxes in the first place. Also, Obama? Just OK'd an increase in transportation spending by 2 mil. So, either vote O out or get use to higher taxes. Fri, Feb 17, 2012 : 1:33 p.m.
Well, unless you include the tax increase cost for each question, this survey is not fair and definitely invalid. Unfortunately, AATA, you are in a town of educated people that know a invalid survey when they see it. AATA. stop trying to push your bureaucratic vision of transportation Eutopia with a &quot;yes&quot; men/women transportation board. We cannot afford this, the noise and inconvenience of the buses (which I am constantly idling behind), is more than the citizens of this town can stand. Ride a bike people! The transportation and bus system is fine as is and does not need to be better. Our count is already in a financial mess, why are you burdening the citizens of this community even more. Vote no on the millage increase. Fri, Feb 24, 2012 : 3:21 p.m.
You drive a car, since you idling behind the bus, but not everybody has a car and the need is there for a better transportation system. I believe that the plan is a little overly expansive currently and AATA should work on the system they have now. A couple of direct lines from Ypsilant to Ann Arbor in the am and pm with maybe one stop midpoint would be great. It can take 2 hours or more if going from AA to Ypsilanti. Do we need more than a couple rides in the am and pm from ypsilanti to detroit, I don't think so. If I was riding the bus to detroit to metro, I would most likely need am and pm rides not all day. Start out small, then expand. Don't blow up by overexpanding services. Just like a ballon, over expansion will goes the whole system to go bust. Fri, Feb 17, 2012 : 1:35 p.m.
Fri, Feb 17, 2012 : 1:26 p.m.
Bike greenways. faster to build, healthier, more fun, cheaper. Fri, Feb 17, 2012 : 7:20 p.m. Blast the state for picking and choosing who gets a driver's license! What on earth are you talking about? Fri, Feb 17, 2012 : 5:09 p.m.
&quot;&quot;&quot;...discrimination that disallows them from getting a driver license.&quot;??? Huh? Fri, Feb 17, 2012 : 2:36 p.m.
That would work really well for able-bodied people who can afford good commuter bikes (and helmets and appropriately safe clothing) And it would be great to possibly impact obesity rates in our community. Our bus system is very useful to aid in the self-determination of people who have a bit more difficulty getting around, whether for physical ability reasons, or discrimination that disallows them from getting a driver license. Fri, Feb 17, 2012 : 1:25 p.m. I took that survey and they still owe me $5 for taking it. The questions were definetly phrased to elicit the response that AATA wanted. CJI is also based in Columbus, OH. Great, send Ann Arbor tax dollars to Ohio for a survey that is markedly slanted. True AATA at its best, dishonests and corrupt. Fri, Feb 17, 2012 : 3:27 p.m. Unfortunately it was not an online survey. I was first mailed a letter with a dollar in it asking me to take a survey but not know what it was about and saying they would give me 5 dollars for doing it. I figured why not. They then sent me the survey which is the first time I knew AATA was involved. Nothing done over the internet. I should have copied it but I didn't think of it at the time. Fri, Feb 17, 2012 : 1:31 p.m.
Fri, Feb 17, 2012 : 1:07 p.m. Yes, Andrew Smith, you are exactly correct! The countywide transit tax will be used to fund John Hieftje's Railroad. New train stations, railroad, and trains of several types are in the works. WALLY folly +++ alive and well, continuing as planned . . . One AATA proposal has 3 train stations in Livingston County; 4 train stations in Washtenaw County; 2 of Washtenaw's train stations to be in the City of a2: one downtown, one near the stadium. And, don't overlook the new train station being gifted to Amtrak on parkland stolen from city a2 taxpayers. . . All of this is to be run by AATA . . . which means John Hieftje and his cronies . . . Paid for by the &quot;dupes,&quot; aka as the &quot;citizens&quot; of a2, plus their Washtenaw County ilk. And we wondered why our street millage funds were not being spent for our streets. Our street maintenance funds are likely being saved for the Hieftje Railroad! Our street repair millage money is accruing at a rapid pace., as city streets disintegrate before our eyes. Since the money is not being spent on our city streets, what else could it be used for? Railroad beds, railroad stations, trains . . . forget about street maintenance . . . think major capital improvements for trains. If not this, what else? City street millage funds (multiple dedicated fund repurpose precedents already set by mayor and council) + your new county millage tax funds + great potential for the City of a2 to expand its debt load = the Hieftje Railroad. The new transit plan really has very little to do with busses, and more to do with trains. And, the Hieftje Railroad is more significant than just a train fantasy. It is all about railroading taxpayers and tax funds. All aboard? Fri, Feb 17, 2012 : 12:59 p.m. Indeed, everyone feels that improved Mass Transit is important, no one has ever denied that. The problem is HOW TO PAY FOR IT! AATA continues to pay out money to consultants rather than re investing in what they now offer. The AATA board was tasked to invest another $98,000 to the Steer-Davies Consultants (bringing the total for just that company to just under $300,000) last night. AATA has become a consultants play ground, and yet Mr.Ford is unable to inform us what the start up cost will be, or how AATA will use those funds specifically. No where in the survey that was conducted was it explained just how much this will all cost the A2 taxpayers, or anyone else for that matter. Several people during the City Council Public time have expressed feelings that AATA should concentrate on improving services currently being offered, and continuing to builr relationships with the Suburban Communities by offering the contracted service agreements. POSA as the board likes to refer to has worked well in the past, no reason why this will not continue to work. While I continue to support improved Transportation options, realistically; I am weary of the price tag for this plan. Knowing how Consulting firms work and how &quot;surveys&quot; are constructed; if an organized opposition to the Countywide Transit Plan or TMP were to conduct a survey, the results would indicate that we should not to proceed. In the end, we will have to wait for voter results. Fri, Feb 17, 2012 : 12:52 p.m. I am skeptical of the survey results because of my numerous personal contacts who are familiar with the details of the 30 year transit plan and who strongly object to it. I am also concerned that 69 percent of respondents were unaware of the 30 year plan and therefore should not have expressed any opinions. Also, the wording of surveys contribute greatly to the responses and I would like to see what questions were posed and information provided to the respondents. Is it possible for annarbor.com to publish the survey in its entirety? I am not surprised that most people like the idea of a comprehensive transit system. However, a 30 year county-wide plan that includes services to areas with little demand does not represent a good investment. While everyone would like to have door-to-door bus service that would require enough buses to travel down every street in every community, especially when trying to accommodate the disabled. Such service is impractical. 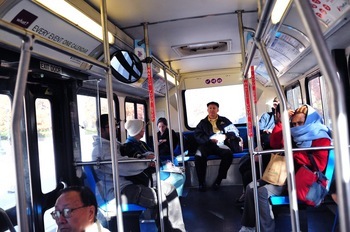 Most people are aware of the advantages and limitations of local public transportation availability when they establish residence in a community. People are known to move when they develop a need for services that are not provided where they presently live. Ultimately individuals may need to move to assisted living facilities, most of which will be serviced by some form of public or private transportation. Before committing large sums of tax dollars to a very expansive new transit program, the needs of the communities should be carefully assessed and the costs should be fairly distributed among those who will be using the new services. Communities which desire to increase public transportation which will involve traveling to Ann Arbor should consider contracting with the AATA for the service. Fri, Feb 17, 2012 : 12:43 p.m. I don't have much of a problem when somebody feeds me a line. Its when they expect that I will bite that ticks me off! Fri, Feb 17, 2012 : 12:42 p.m. If there is ANYONE that believes &quot;A majority of Washtenaw County voters think public transit is important&quot; Please let me know I have a pig in a poke I want to get rid of! Fri, Feb 17, 2012 : 12:38 p.m.
Really, I can't understand why we just dont go whole hog and put in a subway system commencing at all highway exits and interconnecting throughout the entire city. How to pay? We could tax all the residents who live in Ann Arbor Hills and Burns Park a little extra 'because they are rich' and need to pay their fair share. Fri, Feb 17, 2012 : 12:35 p.m.
Fri, Feb 17, 2012 : 12:30 p.m. The best version of any transit plan will include rail. Not only light rail - frequent commuter trains to and from Toledo, Detroit, Lansing, Flint, and Jackson - but also streetcars in the city. Trolley tracks could be laid in what is currently a left-turn lane in some of our major arteries (Stadium, Washtenaw, Huron). A good tram system would reduce the auto traffic on those arteries, and would be fed by bus routes from residential areas and outlying regions. Finally, the light rail would interface with longer rail routes (Chicago, Indianapolis, St. Louis, Cincinnati, etc.) with a more robust train station. The rail infrastructure would also support increased rail freight; more cargo going through a freight depot would mean fewer of those big diesel trucks on local streets and area freeways. Sat, Feb 18, 2012 : 2:50 p.m.
Lighten up folks - this is clearly a sarcastic reply. Fri, Feb 17, 2012 : 5:36 p.m.
....and where will all the money for this come from? Fri, Feb 17, 2012 : 12:58 p.m.
How will the rail service benefit Chelsea or Milan or Manchester? How does traveling on a trolley differ from traveling on a bus, other than having power provided by an overhead cable. If tracks are used the cost of construction will be considerable and car travel impeded by the trolleys if a separate lane is not created for the trolley. Other than reduction in CO2 emissions I see no advantage from a trolley system. Fri, Feb 17, 2012 : 12:15 p.m.